Ian Prattis is an award winning author of fourteen books. Recent awards include Gold for fiction at the 2015 Florida Book Festival, 2015 Quill Award from Focus on Women magazine and Silver for Environment from the 2014 Living Now Literary Awards. 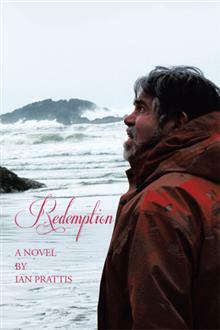 Julia Ann Charpentier says his: “admirable command of language brings to every scene a striking visual clarity.” Of his Gold for Redemption Anita Rizvi calls it “a riveting novel chronicling one man’s journey through the stages of innocence, darkness, destruction and transformation.” She goes on to say, “What is so exquisite is the tenderness and honesty with which the author deals with the human condition . . . he refuses to ‘sanitize’ experience.” He depicts the stations of a personal Calvary that ultimately leads to Redemption. 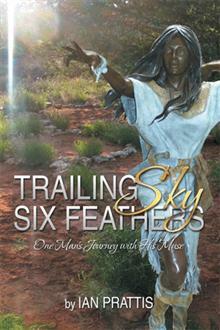 His poetry, memoirs, fiction, articles, blogs and podcasts appear in a wide range of venues. A Poet, Global Traveler, Professor Emeritus, Founder of Friends for Peace, Guru in India, and Spiritual Warrior for planetary care, peace and social justice. Zen teacher since 1997, he offers public talks and retreats all over the world. Ian lives in Ottawa, Canada and encourages people to find their true nature, so that humanity and the planet may be renewed. He mostly stays local to help turn the tide in his home city so that good things begin to happen spontaneously. Hello Ian, I may have met you about 20 years ago at Plum Village. I have been a member of the Tiep Hien Order. I am now teaching at a variety of dharma centers as well as community based and government sponsored programs. Presently I’m engaging with training some practitioners to facilitate a weekly practice class for those who have taken a workshop I’ve taught. The workshops are about our practice and how to relate to mood states that lead to suffering. very nice to hear from you. Feel free to use my blog article in whatever manner it serves. There are also quite a number of other articles on the blog that may perhaps be useful. The Plum Village community is currently writing an educator’s guidebook for use in schools and universities on teaching the core PV practices in those contexts. I am the joint author working with a small team of monastics and volunteers. We are ‘illustrating’ the book with short pieces from those with experience across the PV/OI community (vignettes, case studies, practices etc). We wondered if you wanted to be in touch, and if you have experience of teaching in educational contexts, or working with teachers specifically, that you might have time to share with us (with due acknowledgement of course). Your piece on the 14 mindfulness trainings particularly caught my eye as we are trying to make that come alive for teachers and young people in ‘normal’ school and uni contexts, but the book covers the whole range. If you are interested, please email me.